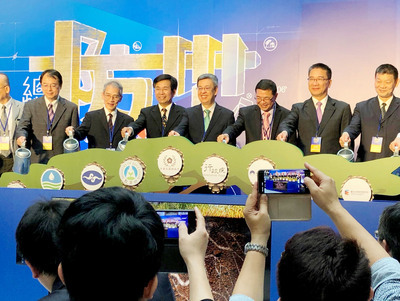 Taipei, July 14 (CNA) Taiwan's tourism revenue in 2009 amountedto US$6.8 billion, marking 14.82 percent growth compared with theprevious year, according to a survey released by the Tourism BureauWednesday. The survey found that visitors to Taiwan in 2009 spent an averageof US$216.30 per day --an increase of 2.29 percent from US$211.46 in2008. Japanese travel group members spent an average US$314.22 daily,less than the 2008 figure, while Chinese visitors spent US$232.11, amarked drop from US$295 in 2008. Chinese visitors spent US$ 115.31 per day on shopping, comparedwith US$100.88 for Japanese visitors. The survey found that 30 percent of Chinese visitors and 49percent of Japanese travelers said they wanted to buy souvenirs orspeciality goods in Taiwan. Another 25 percent of tourists from Chinasaid they spent more money on jewelry and jade, while 13 percent ofJapanese visitors preferred to purchase clothes and accessories. Tourists listed the top three attractions as night markets,Taipei 101 and the National Palace Museum respectively. The mostpopular night market was Taipei's Shihlin Night Market, followed byLiouho Night Market in Kaohsiung. Taiwan's Taroko Gorge received the most praise among scenicareas, and more than half the tourists polled said the country's"friendly citizens" strengthened Taiwan's internationalcompetitiveness for tourism. The Tourism Bureau compiled the figures from 5,784 validresponses at Taoyuan and Kaohsiung international airports in 2009.